Happy Autumn, everyone! This is my most, most favorite time of the whole entire year. Once our temperatures (and the dang humidity) here in Atlanta finally drop﻿, I will be a complete spazz and constantly yapping about Fall and the Holidays and on and on. 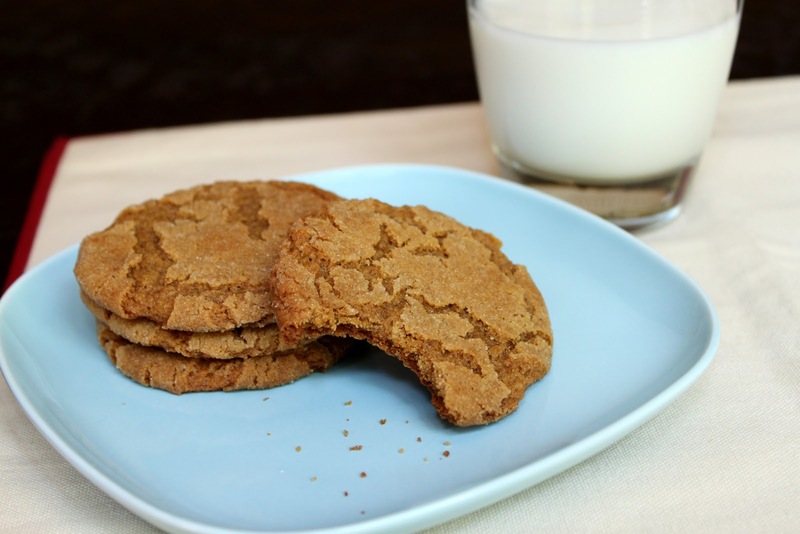 You've been forewarned :) Really tho, I couldn't think of a better, easier way to dip my toes into Fall than by whipping up these Gingersnaps. 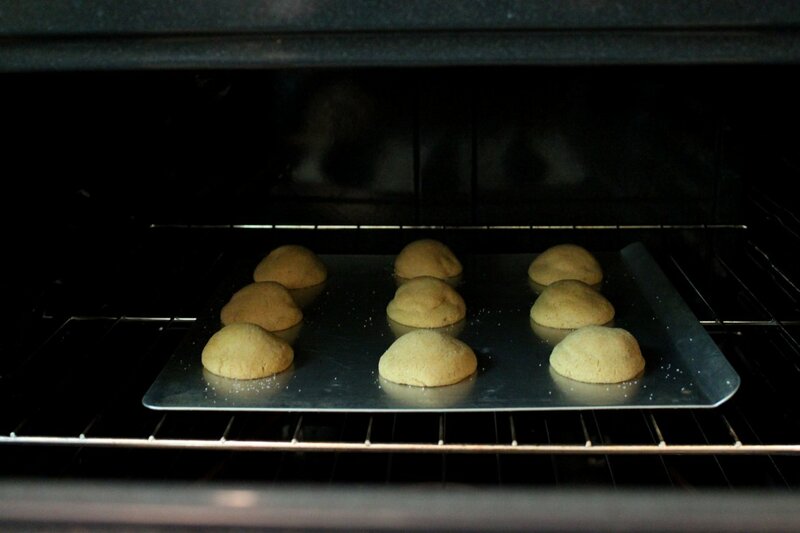 Baking cookies nearly always follows a few-step process. 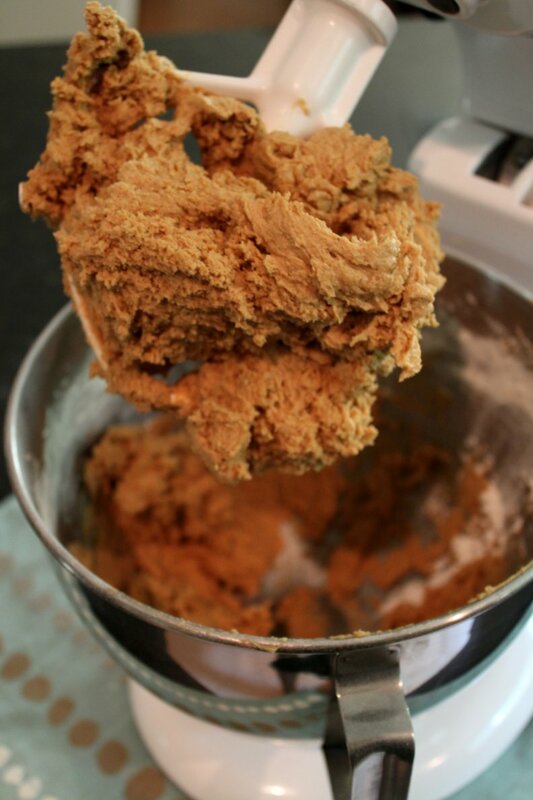 For those who are freaked about baking cookies from scratch or just plain find it frustrating, I'm hoping to help. Consider me your Cookie Coach. Ask and you shall receive..answers, that is :) I realized as I was typing this, that I have lots more to say about cookies and baking, but I'm saving the other stuff for another post. Being overwhelming with info is never a good thing. Anyway, I included photos of each step so that you can see what it will look like as it goes together. If you have questions, definitely ask, okey doke? Thing 2: I'm still trying to cope with baking in a place with massive humidity. I was spoiled having spent all my years in climates with dry summers, whew. So, to me, these cookies turned out flat. It's my same recipe I've been using for 10 years, but they normally turn out a little taller. I've had similar experience with my trusty chocolate chip cookie recipe. 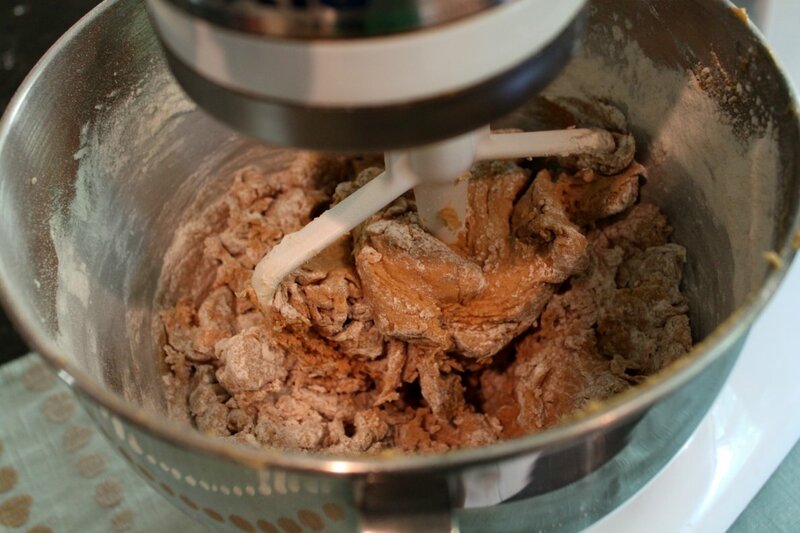 If any of you seasoned Southern bakers has advice, pleeeeease share it with me us! sugar for rolling, approx 1/2 c.
Preheat oven to 375 degrees. 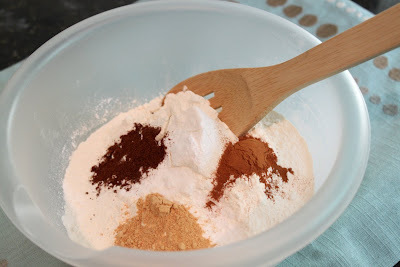 Mix dry ingredients in a separate bowl and set aside. 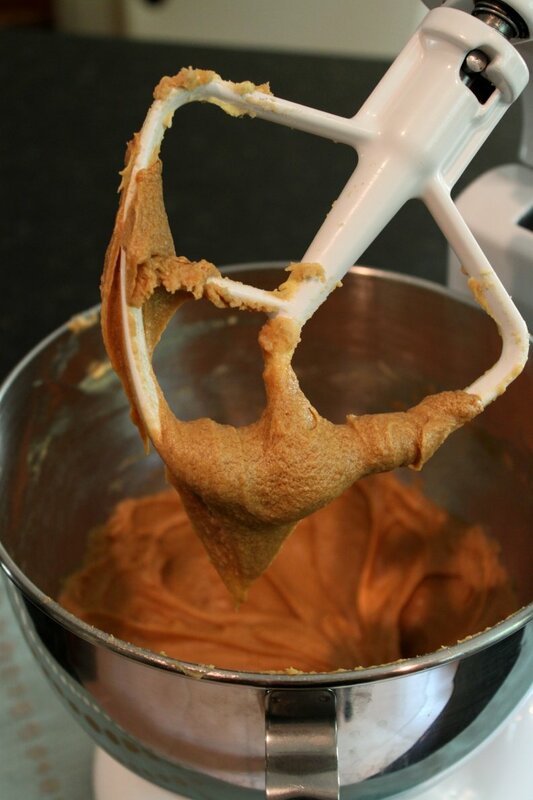 Using a mixer, cream together the sugar and shortening. Add molasses and egg, scraping down the sides of the bowl with a spatula. Add dry mixture, a third at a time, scraping the sides of the bowl after each addition. 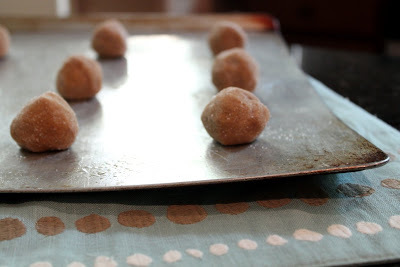 Shape dough by rounded teasponfuls into balls. Roll balls in sugar. 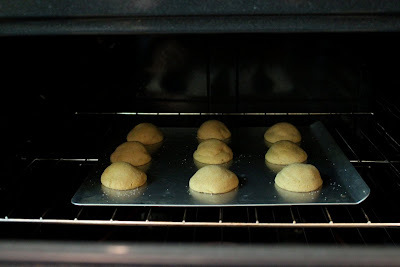 Bake on lightly greased cookie sheet for 10-12 minutes (or until edges are dry and centers just done). Let cool on cookie sheet. Makes about 2 dozen. Cream the sugar and the fat. Add the egg and any remaining wet ingredients. Mix in the dry ingredients, 1/3 at a time. 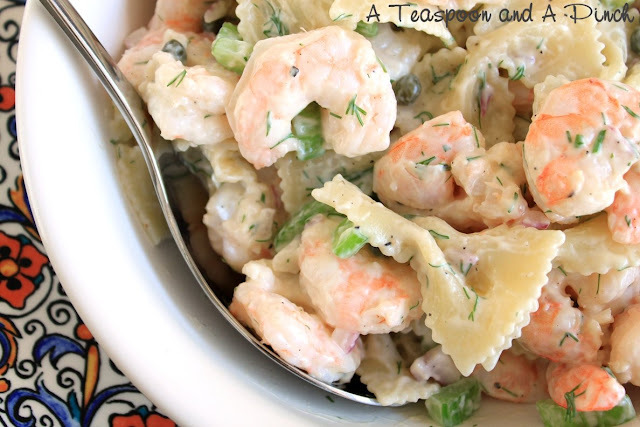 It may look dry and thick, but fear not! 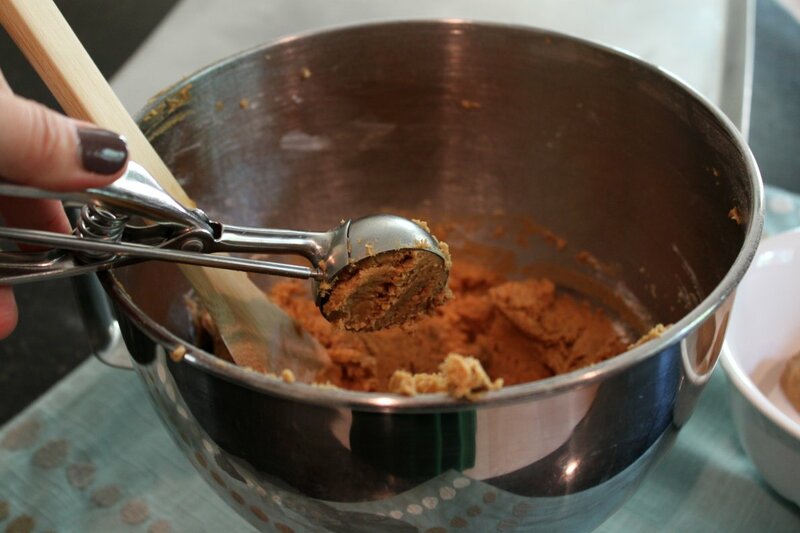 A cookie scoop ensures evenly sized cookies. 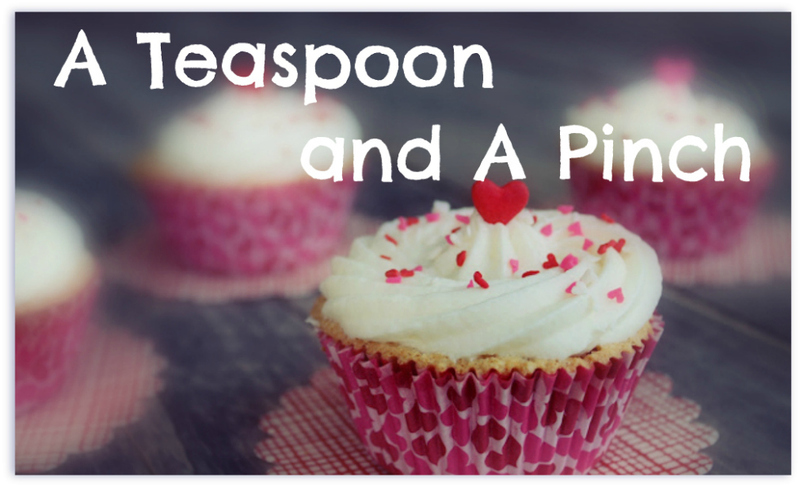 Plus, it's just easier than the 2 spoon method. I swear by Airbake style, insulated cookie sheets. we're evening out the cooking and browning. Dove Promise into each cookie. I've had my KitchenAid for 10 years and 8 moves, and it's still doing an amazing job. 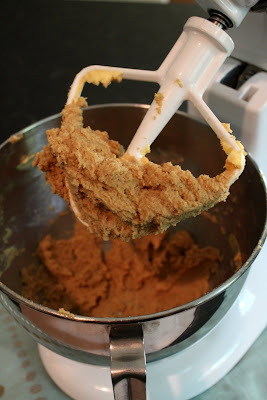 I also highly recommend KitchenAid hand mixers - they're ~$50 and have the power to mix stiff cookie doughs. I've had my hand mixer since college and use it every single week! 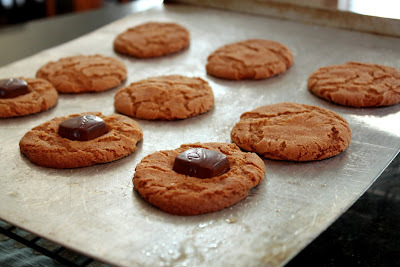 I so needed a Cookie Coach! I love the ice cream scoop because my least favorite part of baking cookies is actually scooping the dough out onto the pan. It is sticky business. I've been trying to bake more and have used some of the dry ingredient pouches but I am looking to move to scratch so thanks for the recipe! 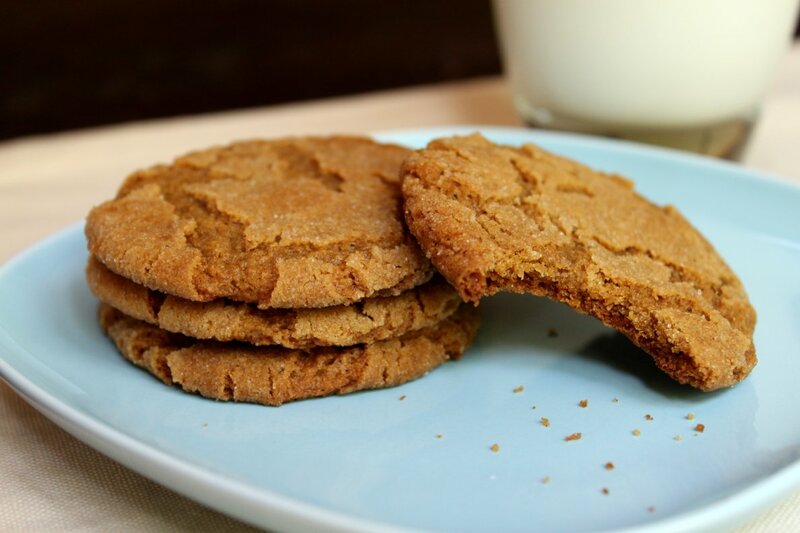 I love Ginger Snaps.